A compact, virtually indestructible housing operates safely at 60m/200 feet. 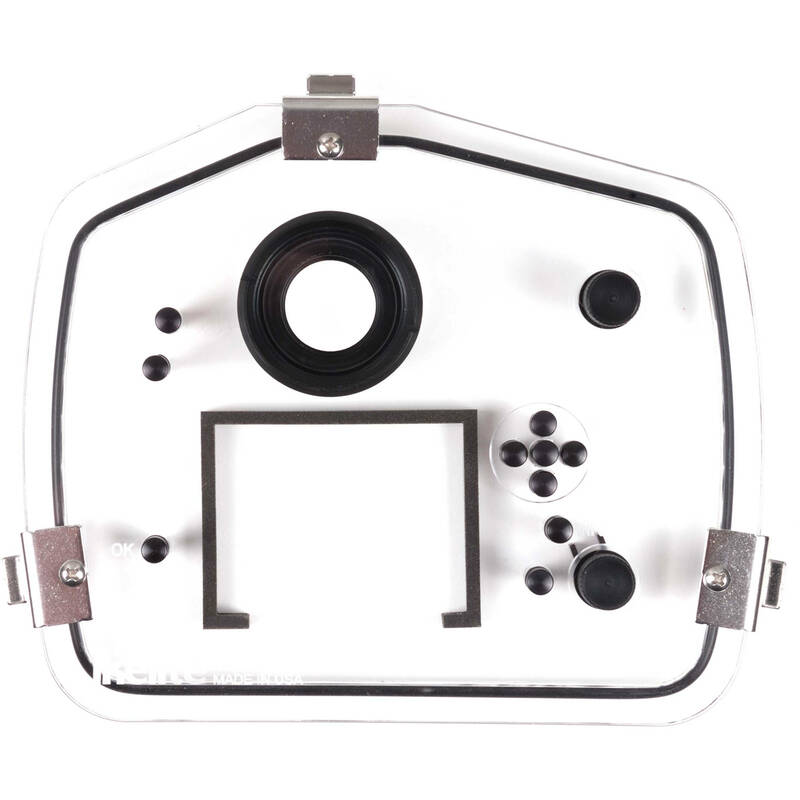 All camera functions are accessible in this corrosion free clear polycarbonate housing. The housing includes a flash diffuser which produces softer illumination of underwater subjects when used in conjunction with the camera's built-in flash. Using an optional Ikelite DS Substrobe and EV-Controller can dramatically improve the quality of your underwater images. The DS Substrobe's extra power allows for illuminating subjects at a greater distance, or it can be positioned to illuminate subjects that are very close. With the DS Substrobe being farther from the camera lens it reduces the illumination of particles in the water, thus helping to eliminate backscatter in your photographs. The EV-Controller provides 10 power settings with any Ikelite DS Substrobe which puts precision fine tuning of the light output at your fingertips. The Dual Release Handles offer greater stability underwater and easy attachment and removal of Substrobe mounting arms at the touch of a button. The base provides a stable platform for when the housing is not in use. The base can be easily removed for a smaller profile when used underwater or when traveling or storing.